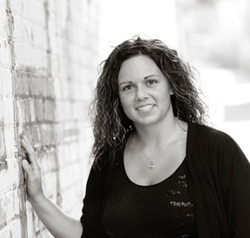 Natasha Roberson is a licensed Athletic Trainer and Massage Therapist in the states of Michigan and Ohio. Her degree in Athletic Training is from University of Toledo, Toledo, OH. She has then furthered her training with Massage Therapy from Northwest Academy of Massotherapy, Maumee, OH. Natasha has a range of treatment experience in all varieties of musculoskeletal disorders, chronic pain, headaches, neurological problems, accident injuries, and especially low back, neck, and shoulder pain. She also treats pelvic dysfunctions in women with exercise and massage. Natasha currently employs a combined treatment approach of traditional and alternative, manual and evaluation skills to address the whole body. Her emphasis in Craniosacral therapy, Trigger Point therapy and Myofascial release primarily accomplishes the results working toward. This approach is often mobile enhancing, restorative to muscles, movements, postural alignment, and pain relieving. Natasha also includes a more orthopedic approach to her treatments. She is open to your feedback so that by mutually learning, you achieve optimum improvements.